Modern three bedroom semi detached family home situated i the popular location of Bellflower Close, Roborough. The property is offered ot the market with no onward chain. Spacious living accommodation comprises, generous lounge, kitchen/dining room, downstairs cloakroom, three bedrooms with master en suite and modern bathroom. 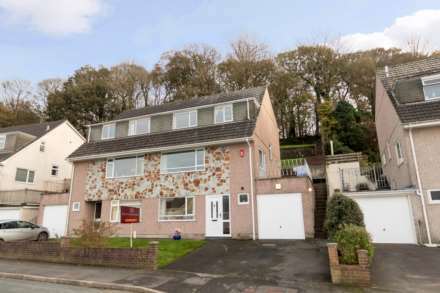 The property also benefits from an enclosed rear garden, garage, driveway parking, gas central heating and double glazing. Generous enclosed rear garden mainly laid to lawn with paved seating area. Accessed from the side of the property or patio sliding doors. Access to garage.